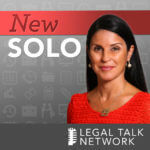 Lisa Solomon was one of the first lawyers to recognize and take advantage of the technological advances that make outsourcing legal research and writing services practical and profitable for law firms of all sizes. Through Lisa Solomon, Esq. Legal Research & Writing, she assists attorneys with all their legal research and writing needs, including preparing and arguing appeals and drafting dispositive motions and trial memoranda. Through Legal Research & Writing Pro, she shows other lawyers how to start and run successful practices as contract (freelance) attorneys and teaches lawyers in all practice areas how to write more persuasive briefs. 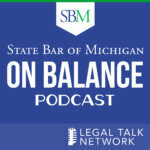 Lisa is the author of many published articles about appellate practice and procedure, and has also writte​n extensively about the fie​ld of contract lawyering. A nationally-known speaker, she frequently presents continuing legal education courses about legal writing and contract lawyering. Her chapter, Choosing the Right Legal Research Tool for Your Firm, is included in the Pocket Guide to Starting a Law Firm, a forthcoming book published by MyCase. 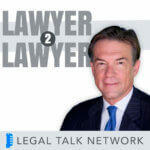 Hear about legal research from someone who loves it in this legal podcast.